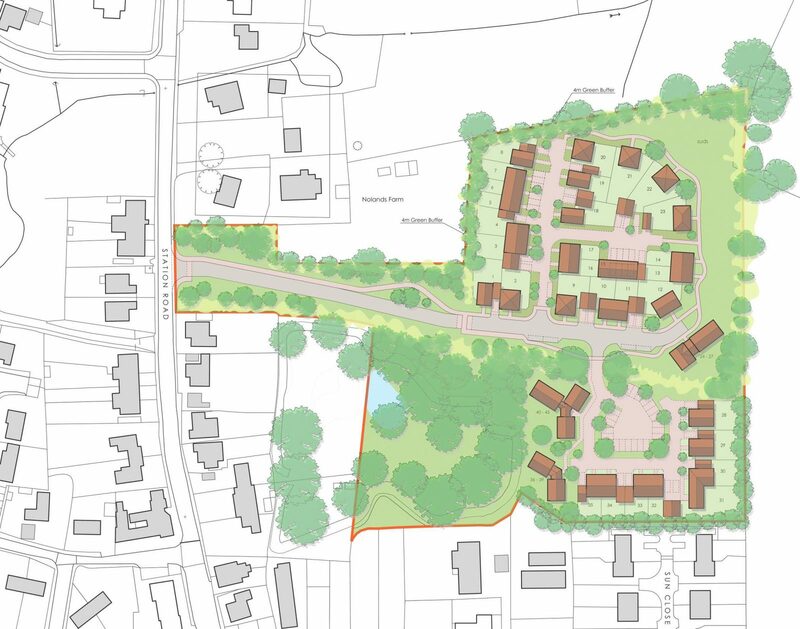 Outline planning application for 45 new residential dwellings, including 40% affordable housing. Provision of a new vehicular and pedestrian access via Station Road. Provision of open space, associated infrastructure and landscaping. Demolition of two existing houses (Saxon Gate & Chestnut House) and miscellaneous farm structures.